The church is open every day except in winter when it will be locked on a Sunday after the services. 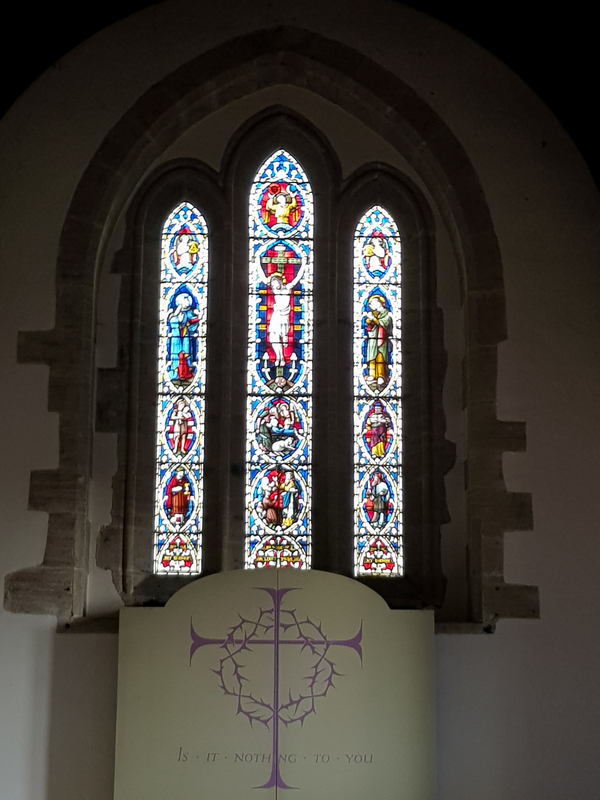 Everyone is welcome to come in to the church to take time out from a busy life and enjoy the peace and tranquillity, or take in the history of the church. The Lady Chapel is a place for private prayer and there is a prayer board at the entrance should you wish to ask for prayers for a loved one who is unwell or going through a difficult time. Children are welcome at all our services and a play area is set up in the Lady Chapel, except on the second Sunday when it will be at the back of church. 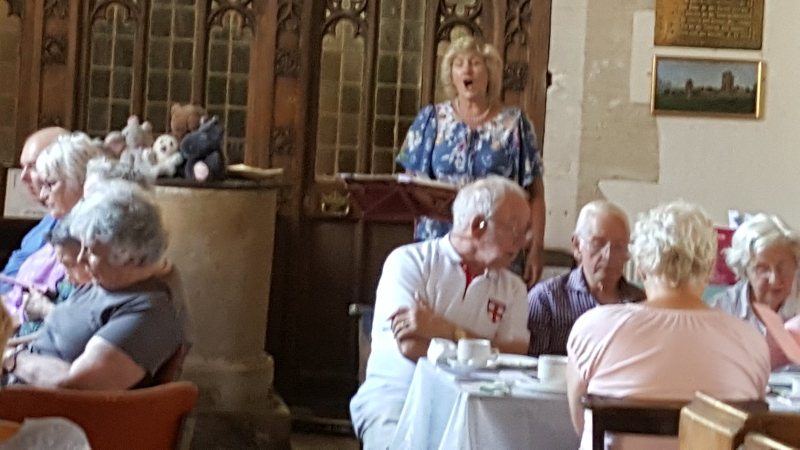 Refreshments are served after the 9.45 am service and all are welcome. Pebbles – Wednesday during term time 10 am – 11.30 am. A group for parents and carers with babies and toddlers. First Tuesday Connections – Meet on the first Tuesday of the month 2.30 – 4 pm. A group for those who feel alone, offering a chat over a cup of tea and with some other activities too. Abingdon Food Bank Box – emptied at the end of each month. St Peter’s Church is a grade II* listed building with parts dating back to the 13th century. It was for many years subordinate to the Mother Church of St Helen’s in Abingdon and was formally separated on 4th November 1867. Holding pride of place is the late 14th or early 15th century alabaster reredos in the Lady Chapel. Unfortunately one of the panels was stolen in March 2012, being chiselled out of the wall, but as a result of the theft having been reported on Art Loss it was subsequently recovered and replaced in 2016. Nottingham alabaster carvings were once common in English churches, and this is an extraordinarily rare survival of the Reformation, which had been buried for safety and was only rediscovered when digging out a vault in 1814. 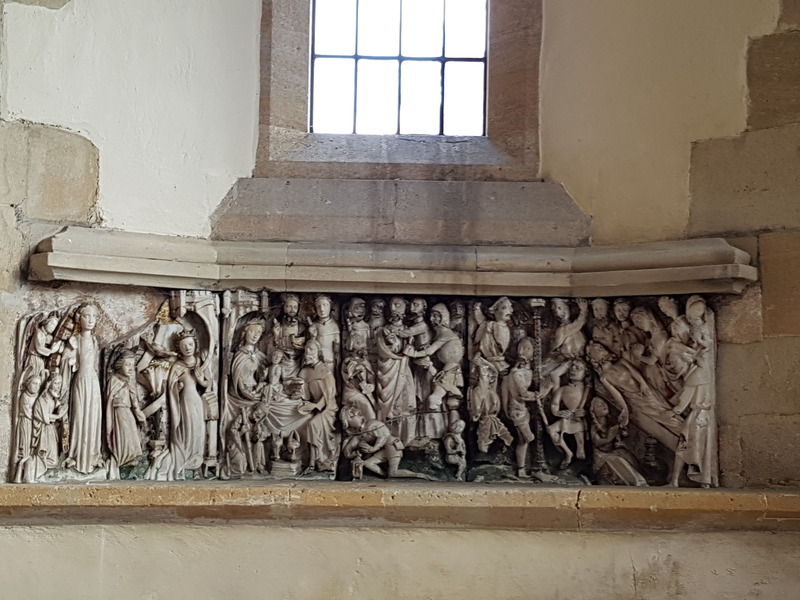 Of six panels, with a considerable amount of original colouring left, it shows the Assumption of the Virgin, the Annunciation, the Nativity, the Betrayal, the Scourging of Christ and the Entombment. A CCTV system has now been installed. The village of Drayton stands within a triangle of ancient tracks – where the Newbury to Abingdon Road met the road from Oxford to Wantage. Drayton is first mentioned in the Chronicles of Abingdon in 955, and mention of a chapel there, annexed to St Helen’s Abingdon, is first found in 1284. Abingdon Abbey held the Manor of Drayton until the Dissolution of the Monasteries. St Peter’s remained a chapel of St Helen’s until 1867, when it became a separate parish church. The Registers begin in 1754. The oldest parts of St Peter’s are Norman, having been built in the 13th century, and include the nave and south chapel, and parts of the chancel. In the 15th century the north aisle was added, as was the west tower. The original walls of the nave and south chapel are in small rubble, but the chancel has been almost rebuilt. It has an east window of three grouped lancets under one head, and much of the internal work is still ancient. The present vestry and organ chamber formed a 15th century north chapel, with a three–light east window, and is mostly original inside. In the south chancel wall, between two modern windows, is a priest’s doorway with a re-used 13th century semi-circular head. The chancel arch is modern, but high above it is a 16th century angel corbel. In the south wall of the nave is a pointed 13th century arch, opening into the south chapel, and immediately west of it is a 13th century piscina with dog-tooth ornament at the sides. Its head was cut away when the 15th century window above it was inserted. 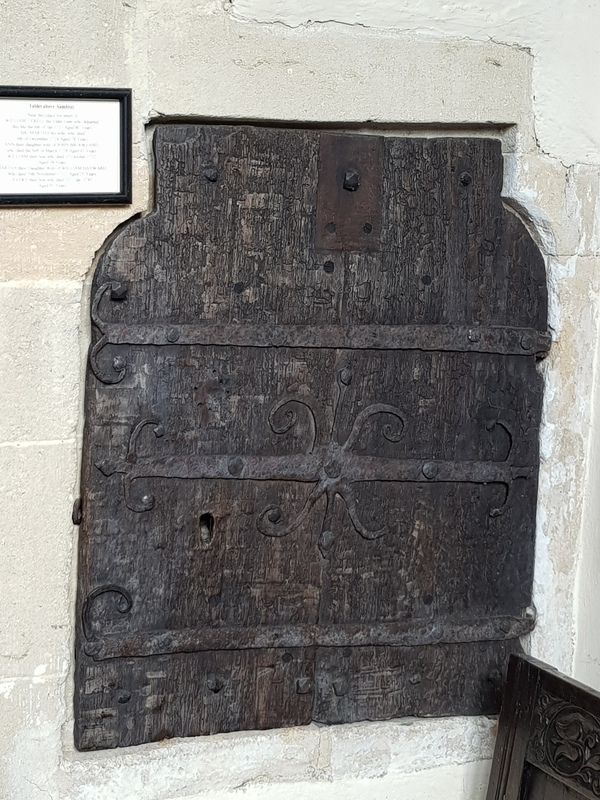 The south door is pointed and probably 13th century. The north aisle has 3-light 15th century windows to each bay, and a modern arch at the east end, opening into the organ chamber. The roof of the nave has ancient tie beams and king–posts, and this was repaired in 1847. The interior has numerous monuments to the Tyrrells and the Dews. The Dew’s crest has a horseshoe–eating ostrich, as found in mediaeval bestiaries. There is an Elizabethan poor box and some of the pews are Elizabethan – two of which are now in the Lady Chapel. Also in the Lady Chapel is a 17th century aumbry. There is a stained-glass window of a ‘Pelican in its Piety’, which was designed and signed by John Lawson. John Lawson (1932-2009) was one of the leading stained-glass artists of his generation. He designed windows in Westminster Abbey and many other British cathedrals and churches. Next to the altar there is a carved figure of a mother and child, carved by craftsmen in Malawi. The Revd Francis Robinson, who was vicar from 1878 to 1908, was an excellent woodcarver, and evidence of his work can be seen in the choir stalls and the bell tower screen. 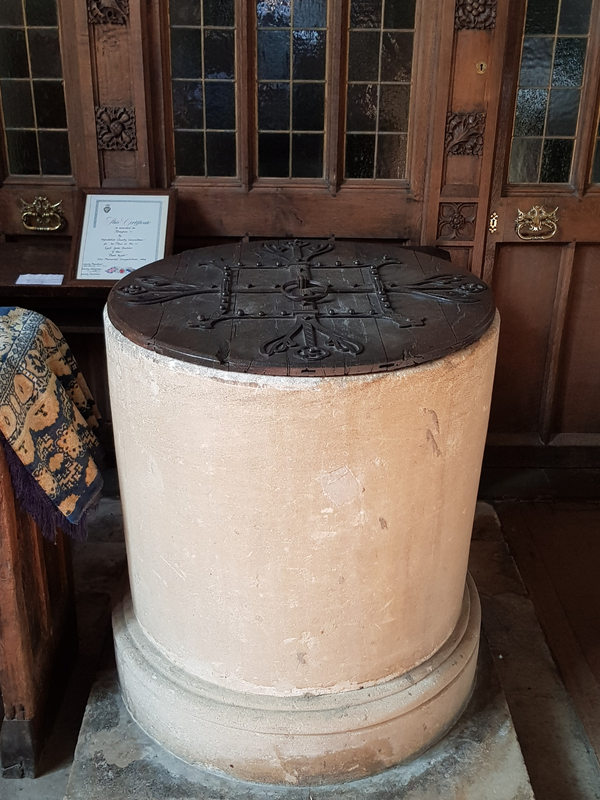 The font is Norman and plain, and probably the oldest item in the church, and rests on a restored 14th century base. The church used to have a mediaeval rood screen and a three-decker pulpit, but the former was removed, and the latter reduced in 1855, along with much of the pre–Victorian interior, at the instigation of the then curate, Thomas Gwyme Mortimer. The south transept was also rebuilt at this time. The remains of the 15th century oak screen are now at the west end of the north aisle. The chancel was rebuilt in 1872. The church was restored in 1879, and the south porch added, both to designs by the Gothic Revival architect Edwin Dolby. There are mediaeval gargoyles built into the porch – which include men fighting lions. St Peter’s was restored again in 1959 after it was damaged by fire. The tower has a ring of eight bells. Mears and Stainbank of the Whitechapel Bell Foundry cast a ring of six for the tower in 1871. The same founders added the present treble and tenor bells in 1880, increasing the ring to eight. There is also a sanctus bell that one of the Wells family of bellfounders of Aldbourne, Wiltshire, cast in about 1780.